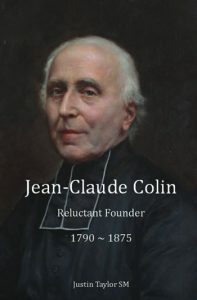 The 2009 General Chapter of the Society of Mary instructed the General Administration “to explore the possibility of re-opening the cause of the beatification of Jean-Claude Colin.” A scholarly biography is part of the response to that remit. The then Superior General, Fr John Hannan, approached Fr Justin Taylor, one of the top scholars in the Society of Mary, an eminent historian and expert on nineteenth-century French Spirituality. Fr Justin was able to tap into the large collection of primary documents gathered from all across Europe by Frs Jean Coste and Gaston Lessard. Fr Carlo Maria Schianchi, the archivist in the Society’s General Archive in Rome provided considerable assistance. This is the kind of sustained research and scholarship that requires the resources and contacts of a religious congregation in support of the brilliance of the final author. The product of these prodigious labours is a big and handsomely produced book, also available in digital formats. I thought I knew the Marist Founder; the more I read the more I realised how inadequate my grasp of him had been. This book is an absorbing read; beautiful, flowing English prose that carries you along so smoothly that you almost do not realise just how much information it is conveying. The complexity of the life and times, the politics of State and Church. I had known ‘sound-bites’ from and about Jean-Claude Colin. With this book he and his world suddenly come into sharp focus. The studious young man from a rural town. The seminarian who dreamt of a project. The curate who found a strange family forming up around him as he strove to write the Constitutions he felt compelled to write. The reluctant founder who takes up the role he does not want so as to give the Society of Mary the chance to be more than a dream. The confident Superior General who, in France, is recognised as an expert on Oceania. Fr Justin, as biographer, sets out to introduce us to a person. He does not tell us what to think or how to react to that person. He does want us to understand Jean-Claude Colin and his context. 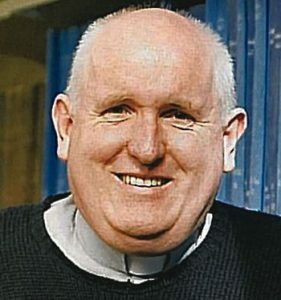 There are controversies around some events in Marist history, strong opinions about things that Colin did or did not do. Justin does not sit in judgement on any of these issues. In fact, if anyone is to judge, it is the reader. The facts are put before us, we are alerted to positions held, mis-representations are clarified but we are then left to make up our own minds. There is no special pleading, but there are fascinating endnotes to each chapter directing us to where we can find more information. This is biography, not hagiography. It is the story of Jean-Claude Colin, whom many of us consider to be a saint. He is presented sympathetically yet realistically. There were incidents in his lifetime which he, and others, considered to be miraculous; the result of divine intervention. These are presented to us seriously with evidence from primary sources and without spin. Again, the reader is invited to make judgement. This work is aimed at the general reader. The scholarship behind it is remarkably unobtrusive. It is not a dense or difficult read. There is a narrative running through this, it is the story of a life, a life that is interesting, influential, and which has impacted on our own rather more than we might expect. Reluctant as a Founder, Colin firmly established the Society of Mary in France and beyond. He gained it papal approval. He established communities of Marists in Colleges. He wrote the Constitutions for the priests and brothers of the Society of Mary and for the Marist Sisters. Working with Pompallier and the later bishops of the South West Pacific, he launched the missionary endeavours which founded the Catholic Church in our part of the world. I strongly recommend this work to anyone interested in the history of the Catholic Church in New Zealand and the Pacific.